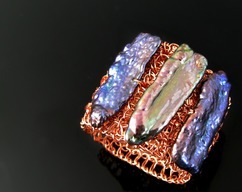 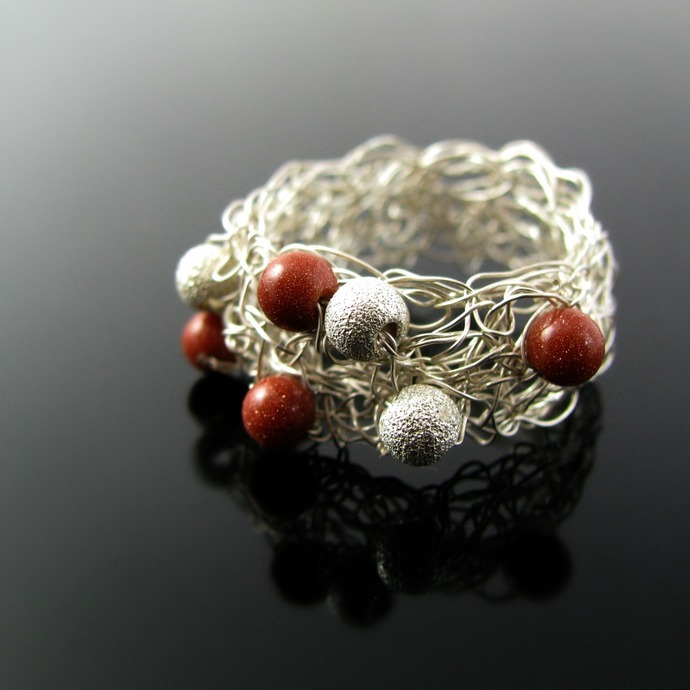 This ring is hand crocheted from sterling silver wire and double layered for more sturdiness (I made a wide ring, then bent it in half and crocheted the two edges together). 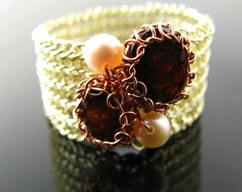 Thanks to its flexibility it can be worn as a US size 7 1/2 to 8 or 18 to 18 1/4 mm. 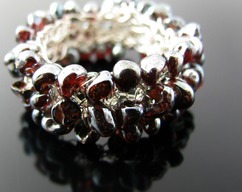 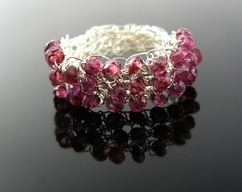 The organic looking lacy structure is embellished with four red goldstone and three sparkly sterling silver beads.